The former president of Eli Lilly is all but confirmed to be the secretary of Health and Human Services thanks to his nomination by Donald Trump. Alex Azar is the Trump Administration’s nominee for the position of secretary of Health and Human Services. This swamp-dwelling Washington insider was formerly the United States Deputy Secretary of Health and Human Services under George W. Bush from 2005 to 2007 and later went on to be the President of the U.S. division of Eli Lilly and Company, a major pharmaceutical drug company with a history of rampant corruption. He was also a member of the board of directors of the Biotechnology Innovation Organization, a pharmaceutical lobby. 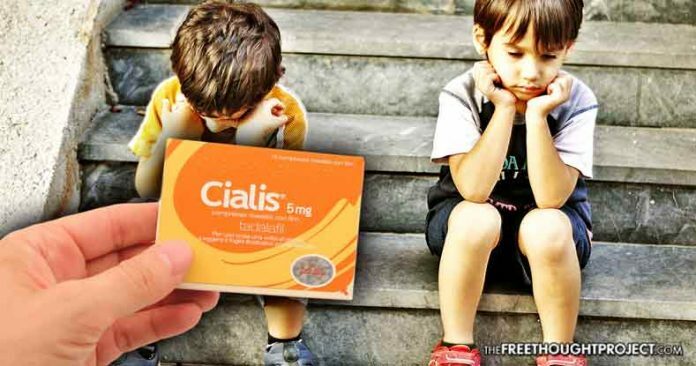 In an investigative report by Politico, it was revealed that during Azar’s reign at Eli Lilly, the company used Cialis (an erection drug) on sick kids to fatten their bottom line profits of the drug and extend its exclusive patent for another six months. The move reportedly profited the company a billion dollars but, in the eyes of critics, it crossed serious ethical lines. Trump, who made various campaign promises to “drain the swamp,” wasted no time in appointing a Big Pharma insider and former Eli Lilly executive to one of the country’s most important public service positions. The lawsuit…accuses the companies of exploiting the country’s opaque drug-pricing system … It cites several examples of patients with diabetes who…have resorted to injecting themselves with expired insulin or starving themselves to control their blood sugar. When Azar worked for Eli Lilly, he approved several price increases of drugs for the company. Another of his duties was to ensure the drug’s cash cows kept making money—like Cialis. Instead of allowing the patent to expire, which would have allowed competitors to create generics, the company chose to use children as human guinea pigs. The move allowed the company to retain their patent for another six months so they could ‘study’ the effects it had on children. The result was that Eli Lilly earned another billion in profits from a drug producing $2 billion a year. Of course, those families of children suffering from a condition known as Duchenne Muscular Dystrophy would try anything, even an erectile dysfunction drug, because there are currently no known drugs effective in treating their condition. But they were duped. Cialis—a drug for erectile dysfunction—predictably had no effect on their condition. However, what did work was the “gaming” of the system whereby the patent on Cialis would continue to stay within the company. The business move is known as the “pediatric patent extension” and many members of the Pharma-Cartel use the government approved measure. However, the drugs most often chosen for the pediatric patent extension are ones that were already making a lot of money for the company, not the ones that might have worked the best for the patient. Azar testified before the Senate Finance Committee on Tuesday where he was grilled about his involvement at Eli Lilly, his position at the company, and what he will do when and if he becomes the HHS Secretary. Equally important was his role in the alleged price fixing of Insulin. Not that it matters who in Washington is questioning Azar— as Republicans and Democrats receive billions in re-election donations from the Pharma-Cartel—but for the record Sen. Ron Wyden, D-Ore grilled Azar about price increase approvals he made to several drugs while working for Eli Lilly. I don’t know there is any price of a branded drug product that has gone down…We can do things together…No one company’s going to fix this system. I told you in my office you’ve got some convincing to make me believe that you’re going to represent the American people and not big pharma…And I know that’s insulting…because I’m sure you’re an honest and upright person…But we all have our doubts, because big pharma manipulates the system to keep prices high…We have to really fix it, and I — you need to convince those of us who are skeptical that you’ll be part of fixing it and won’t beholden to big pharma. If confirmed, Azar will be responsible for administering Medicare, Medicaid, and Obamacare. He will also be charged with tackling the burgeoning opiate epidemic. One of the only substances known to help opiate-addicted people get over their addiction was just targeted last week by the U.S. Attorney General Jeff Sessions. As a result, Azar will likely find a welcoming home within the Trump Administration which has already demonstrated its loyalty to the Pharma-Cartel. When and if Azar takes the helm at HHS, he will be replacing Dr. Tom Price who resigned in September following revelations he used private chartered flights in place of commercial airlines at taxpayer expense. So much for draining the swamp—Trump’s two picks for Health and Human Services Secretary show his commitment to employing individuals who couldn’t care less about the price of drugs, the costs passed on to taxpayers, and seem only concerned with .